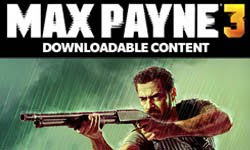 Rockstar Games has announced their plans for supporting Max Payne 3 post-launch. 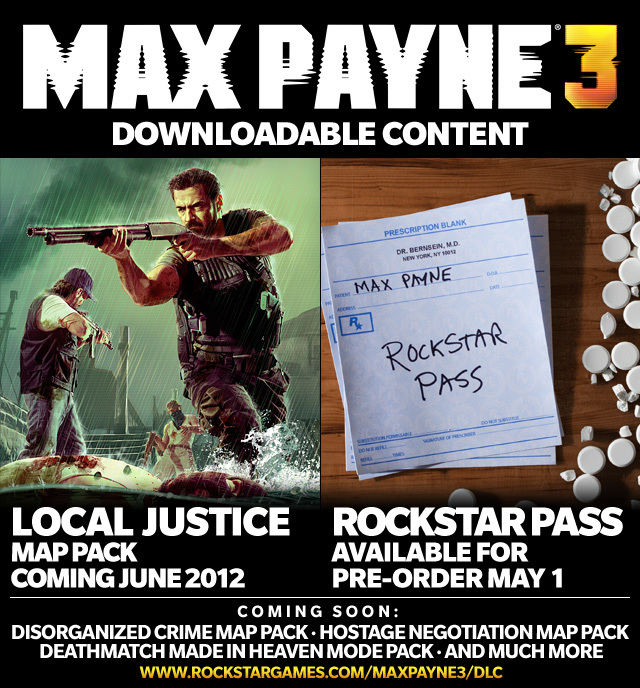 Beginning in June with the Local Justice Map Pack, DLC is planned to be coming regualr for a few months, and today you can purchase a Rockstar Pass to save on all the content. coming in June. Passes can be purchased for Xbox LIVE and PlayStation Network from Best Buy or GameStop as well as online via PSN for PS3 users. The pass will be available for 2400 MSP or $29.99 for PlayStation Network and PC.